This Aug. 26, 2010, file photo, shows fresh brown eggs in a carton. The latest U.S. research on eggs won't go over easy for those can't eat breakfast without them. The researchers say the culprit is cholesterol, found in egg yolks and other foods, including shellfish, dairy products and red meat. 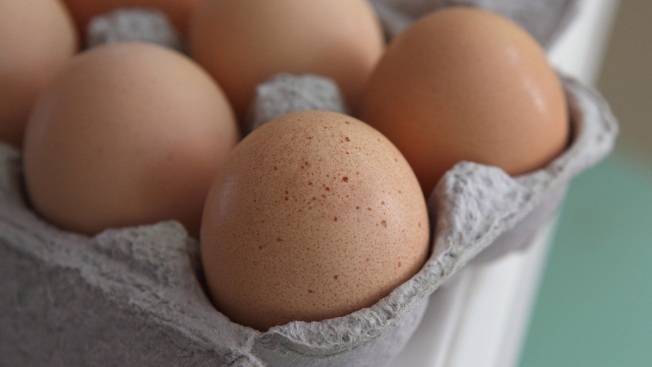 The study focused on eggs because they're among the most commonly eaten cholesterol-rich foods. They can still be part of a healthy diet, but in smaller quantities than many Americans have gotten used to, the researchers say. Making delicious home-brewed coffee will be easier than you think with these quick and easy steps to make coffee using a chemex. Researchers at Northwestern University's Feinberg School of Medicine and elsewhere pooled results from six previous studies, analyzing data on almost 30,000 U.S. adults who self-reported daily food intake. Participants were followed for roughly 17 years, on average. The researchers calculated that those who ate 300 milligrams of cholesterol daily — about 1 ½ eggs — were 17 percent more likely to develop heart disease than those who didn't eat eggs. A new drug proven to slash bad cholesterol by more than half of a patient's initial level may prove to be a boon to those worried about heart attacks and strokes. 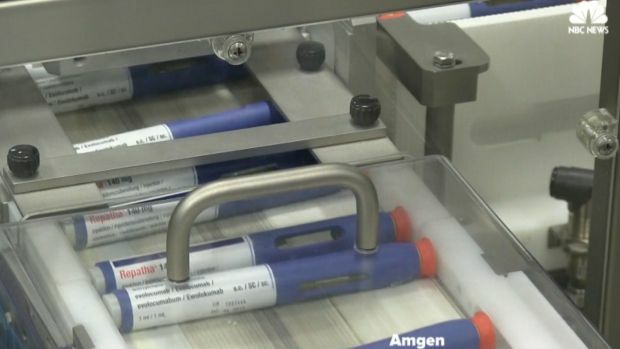 Repatha, a drug that could lower the risk of heart attack or strokes by 20 percent, is a $14,000 a month drug that is injected once or twice a month - a price point health insurance companies may not approve of. "We know that dietary recall can be terrible," said Lee. The new study offers only observational data but doesn't show that eggs and cholesterol caused heart disease and deaths, said Lee, who wasn't involved in the research. Some people think '"I can eat as many eggs as I want'" but the results suggest moderation is a better approach, she said. "I don't think that this study would change general healthy eating guidelines" that emphasize fruits, vegetables, whole grains, nuts and beans and limiting processed meats and sugar, Hu said. Eggs, a breakfast staple for many, can be included but other options should also be considered, "like whole grain toast with nut butter, fresh fruits, and yogurt," Hu said. "The main message for the public is not to select a single type of food as 'bad' or 'good' but to evaluate your total diet in terms of variety and amount." "I'm sorry if it seems like a boring recommendation," she added, but for most people, the most important diet advice "should be to maintain a healthy weight, to exercise, and to get an adequate amount of sleep."